Hall of the Mountain King: Review: Blackberry Smoke, "The Whippoorwill"
This is Blackberry Smoke’s third full-length album, and while I’ve enjoyed their previous records, I’ve never come close to loving them this much. The band’s 2004 debut had more of a hard Southern rock sound, while their last outing, Little Piece of Dixie, blended Southern and country rock. My previous favorite effort from them was the traditional country of the New Honky Tonk Bootlegs EP released in 2008. The Whippoorwill blows them all away. 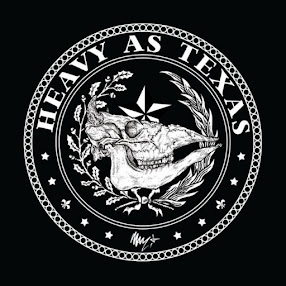 It has a much earthier and organic sound, more heavily rooted in 1970s Southern rock. That’s never more apparent than on the infectious album opener “Six Ways to Sunday,” which also features some clever lyrical turns by singer Charlie Starr. But the centerpiece of this record, by a long shot, is the title track. “The Whippoorwill” is just an amazing piece of Southern soul. There’s country and Southern rock, there’s blues, there are some jazzy progressions and vocal inflections from Starr. In fact, in places, you’d be hard pressed to guess that the soulful crooner here is the same guy that sings some of the rowdier numbers on the album. It’s a song that takes the listener through a journey of emotions, from love to loss, searching, sadness, resignation and, ultimately, maybe a little redemption. It’s easily the best song that I’ve heard this year, or perhaps in many years, in any genre, and I was stuck on it for quite some time. It stops me in my tracks when it comes on every time. There is one song on the record that I’ve spent more time with than the title track, though, and it’s for personal reasons. “Ain’t Much Left of Me” could easily have been written about my own life over the last few months. There’s rarely, maybe never, been a song that fit my life more at the time it was released than this one, and I admit, it’s been a comfort to me. There’s a lot of sadness, anger and misery in the song, but also a sense of victory in the fact that, though things are so miserable, he’s still here and still holding on. I also like that it’s not a slow, sappy, wallowing song, but kind of an upbeat Southern rocker. There’s a very short list of songs in my life that have meant so much to me at one point or another that I have a visceral, emotional reaction every time I hear them, and “Ain’t Much Left of Me” has joined that short list. The album is not all about blues and sadness, though. The bravado of “Sleeping Dogs” is accompanied by another great groove that gives you a little of the same swagger the subject of the song has when you hear it. The driving rocker “Leave a Scar” offers a personal philosophy that I’d very much like to adopt as Starr sings “I may not change the world, but I’m gonna leave a scar.” “Crimson Moon” explores a Romeo and Juliet-style love story from the back of a motorcycle. “Ain’t Got the Blues” reaches back into a more traditional country sound for its influence, and “Lucky Seven” has another bit of bravado with a great hook. There are moments of pure, unadulterated joy on the album, too. You can’t help but have a smile on your face after listening to “Everybody Knows She’s Mine” with its catchy chorus about the woman that makes him “high as the Georgia pines, wild as the muscadine wine, hotter than the deep South summertime.” No matter what mood you approach it in, I guarantee you’ll leave it feeling better. The same, I believe, could be said of the whole album. At least, it’s been the case for me. I can find a lyrical parallel in my life for just about every song on the record, and I’m pretty sure that I’m not the only person out there who will feel that way. I try to use phrases like “this music speaks to me” very sparingly, but there’s really no other way for me to express how I feel about this one. There are songs about the man that I wish I were, songs about the man that I’m glad I’m not, and, for better or worse, songs about exactly the man that I am right now. The record has left me grooving, mourning, celebrating and occasionally – dare I admit it? – dancing. That last one is practically impossible to do. But mainly it’s left me feeling a lot more positive and happy every time through. Fans of the band’s earlier work might be disappointed that a little bit of the harder edge is missing, but even being the hard-rock guy that I am, I don’t miss it a bit. 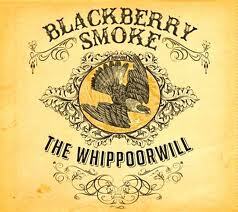 The Whippoorwill is outstanding from start to finish and far and away the best thing that Blackberry Smoke has ever put on record. It’s easily my favorite album of the year — or the past several years — and I don’t see even a remote possibility that another one will eclipse it before 2012 comes to a close.